Porcelain Fixed Bridges can improve chewing and aesthetic appearance, restoring the smile with a more permanent solution than dentures. 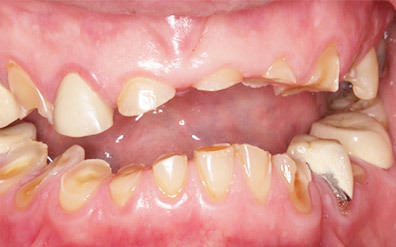 Bridges replace missing teeth with artificial teeth. Your dentist will take a mold of the gap where a tooth is missing, and then send it to a laboratory to prepare a customized bridge. Before inserting the bridge, the surrounding teeth are prepared. The bridge is set into place and the artificial tooth is securely cemented to the adjacent teeth, restoring the attractive natural appearance and functionality of the tooth that was lost. 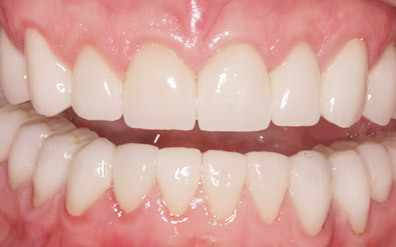 If a resin-bonded bridge is chosen, the artificial tooth is secured by means of a metal appliance that attaches to the backs of adjacent teeth.